Beta+ Part 3 float valve is the latest addition to our Epson range. Featuring a patented multi-directional adjustment design it can be used in most cisterns and set so that it does not interfere with other cistern components. It also has the largest range of adjustment of any part 3 float valve making it the most adjustable valve on the market. 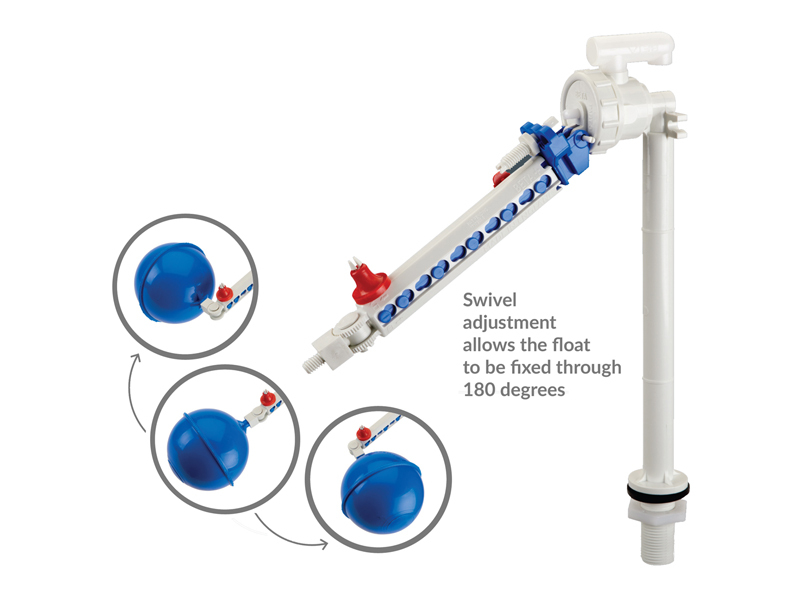 The Beta+ Valve is simple to install and designed to fit virtually all float operated cisterns. 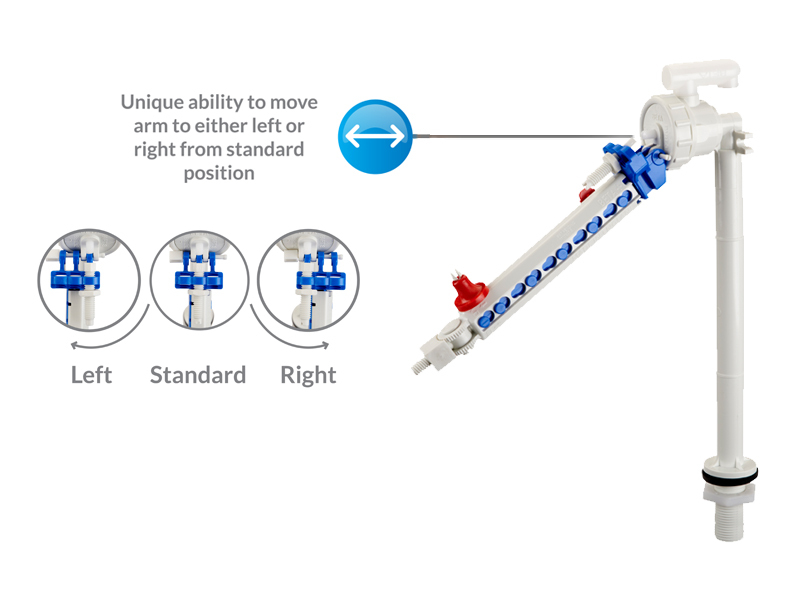 The unique ability to the move the arm to either the left or right from the standard position provides flexibility when installing the valve into the cistern. The Beta+ part 3 valve is designed and manufactured in the UK to BS1212 and is supplied with an adjustable float arm which adjusts from 6" to 10". 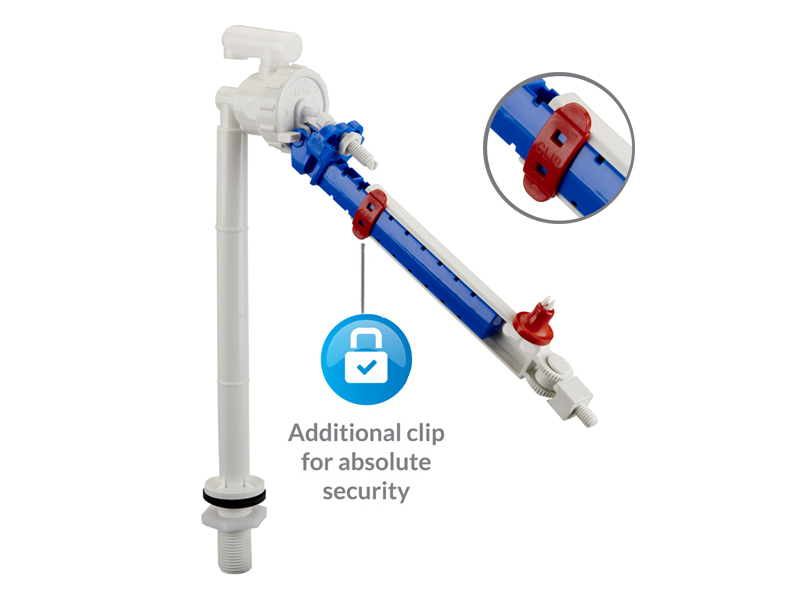 For absolute security, the Beta+ part 3 valve is also supplied with an additional clip when adjusting the float arm to the desired position. 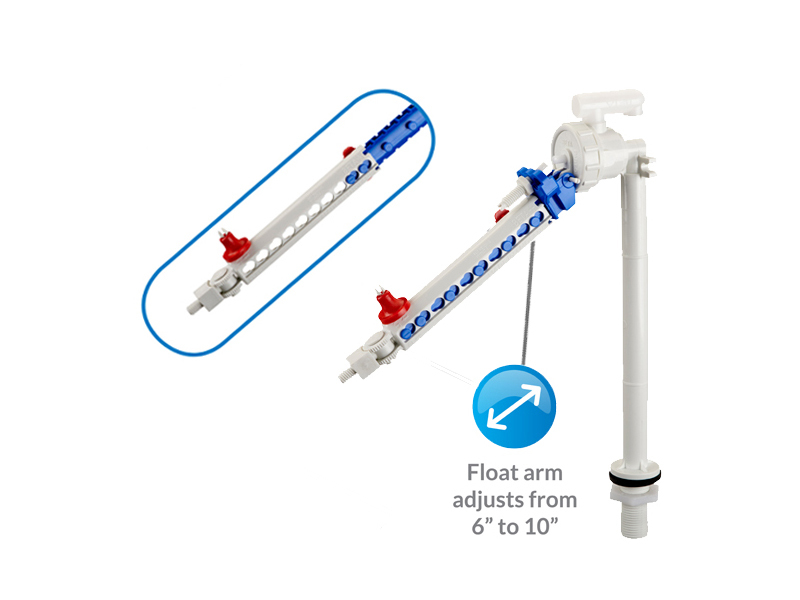 For easy installation, the Beta+ part 3 valve also has a swivel adjustment which allows the float to be fixed through 180 degrees (float sold separately). For more product information on the BETA+ part 3 float valve. Side entry valve also available.